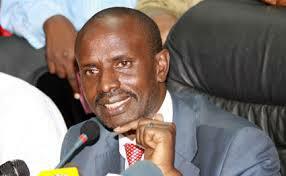 Wilson Sossion Must Read This And End The Teacher's Strike ASAP! TSC: How many days are there in a year? TEACHER: 365 days and sometimes 366. TSC :How many hours make up a day? TSC : How long do u work in a day? TSC: So, what fraction of the day do u work in hours? TEACHER: 8/24 i.e 1/3 (one third). TSC : This is nice of u! what is 1/3rd of 366 days? TSC : Do u come to work on weekends? TSC :How many days are there in a year that are weekends? TEACHER: 52 Saturdays and 52 Sundays equals to 104 days. TSC : Thanks for that. If u remove 104 days from 122 days. How many days do u now have? TEACHER: 18 days. TSC : We do give u at least 2 weeks leave every year. Now remove that 14 days from the 18 days left. How many days do u have remaining? TSC: Do u work on Jamuhuri day? TSC: Do u come to work on madaraka Day? TSC: So how many days rleft? TSC: Did u come to work on New Years Day? TSC : So how many days r left? TSC : Do u work on Id ul fitr? TSC: So how many days are left? TSC : So what r u claiming? There was Easter, Christmas e.t.c What do you say about that? TEACHER: I have understood, Sir. I did not realize that I was stealing the tax's payers money all these days. Moral - NEVER GO ON STRIKE AGAIN !! !